My first email from Kim was in June of 2011. 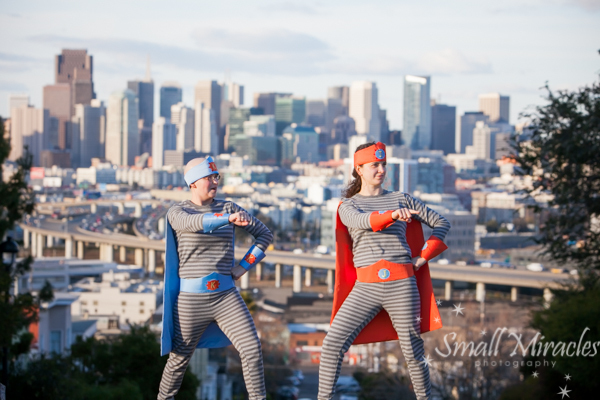 Kim was pregnant with twins and wanted to schedule maternity and newborn photo sessions. From that first email, I could feel Kim’s awesome personality shinning through. 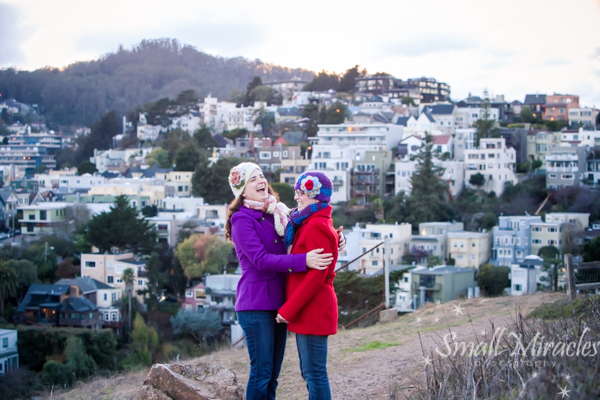 I have done many photos sessions with Kim and her family though the years. 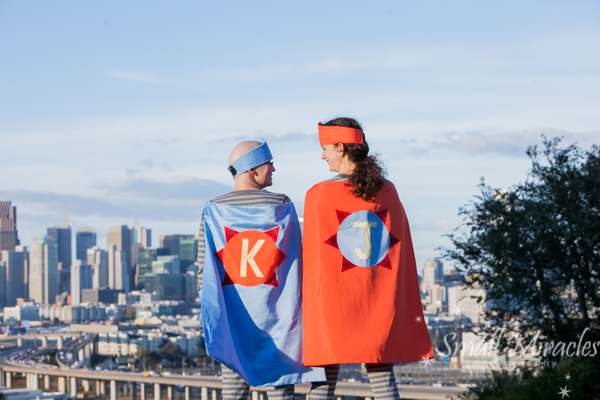 When the twins were around 6 months old, Kim was diagnosed with acute myeloid leukemia. Kim has been through several different treatment plans to kill the cancer, the latest being a stem cell transplant from her sister Jessica. 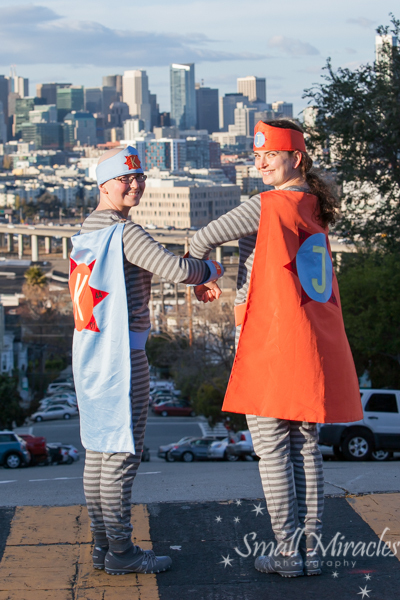 Jessica had these awesome superhero costumes made while they were going through the intense process. I’m telling you, these ladies are totally awesome! Kim contacted me in November to ask if I was up for a different kind of photo shoot. Last year I had decided I wanted to get out of my comfort zone and do photo shoots that I usually would say no to. I was intrigued. 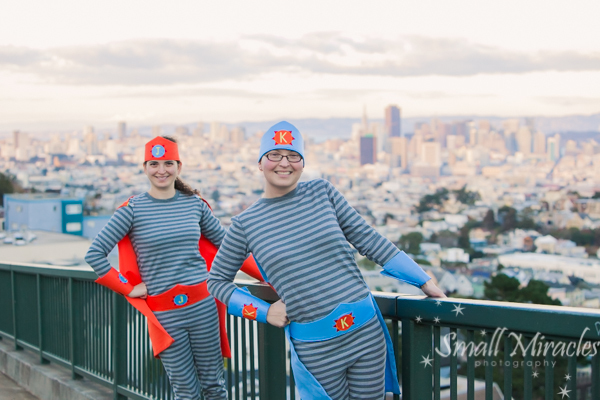 Kim and Jess wanted to do a photo shoot wearing the superhero costumes and they wanted to incorporate the SF skyline. It was was definitely a long way off from bellies and babies, but how could I say no?? What fun we had! 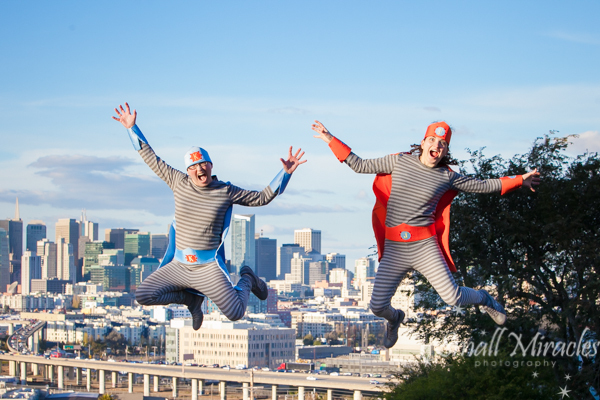 I loved watching the passersby stare as these superheroes jumped into the sky! We were trying to keep Kim warm and rested, but she really didn’t listen to us. They jumped again and again in the freezing cold! They were so funny trying to time their jumps and positions. I was so glad I wasn’t jumping, I was tired just watching them! 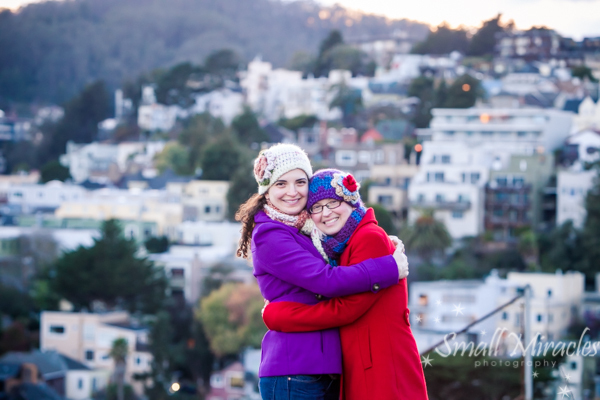 We did a few photos in their civilian clothes. 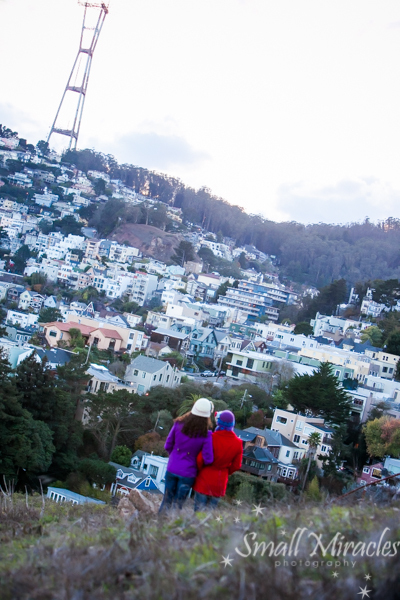 It was so sweet to see the two sisters, who have both been through so much, just have fun together. Kim said despite the leukemia, she was having the “time of her life”. I couldn’t believe what I was hearing. She is living each day to the fullest. They are both an true inspiration! 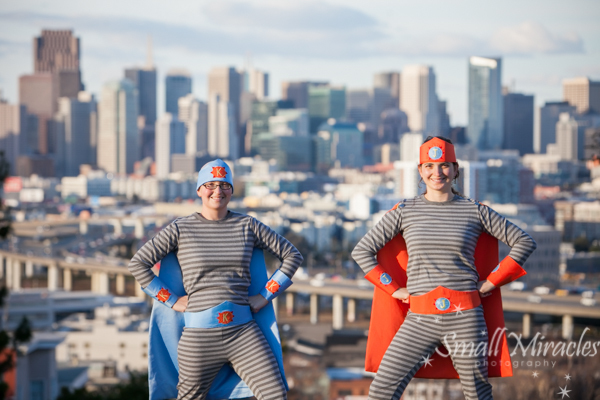 Enjoy the photos from my “out of the box” superhero photo session.